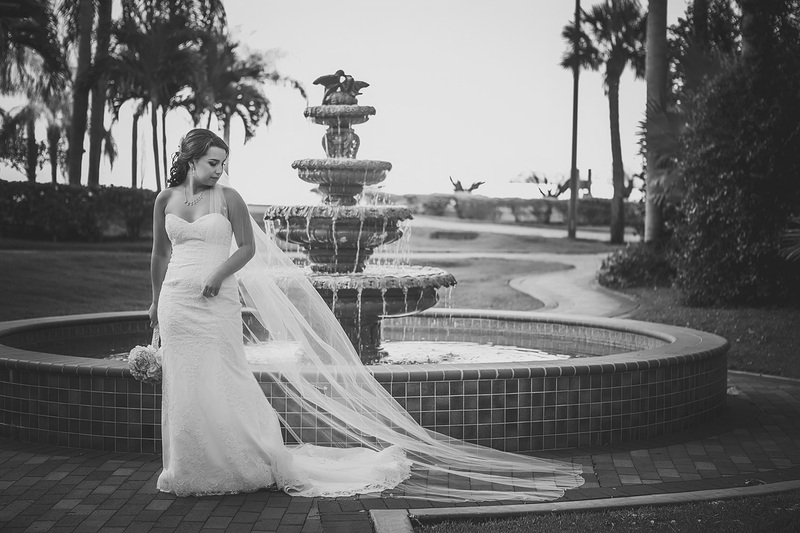 There are so many wedding venues in the greater Tampa Bay area that I could not imagine the difficulty couples must have in choosing the right place for them. What do we as professional wedding photographers look for in wedding venues? Our requirements might surprise you, but once you think about it, it is a logical approach. 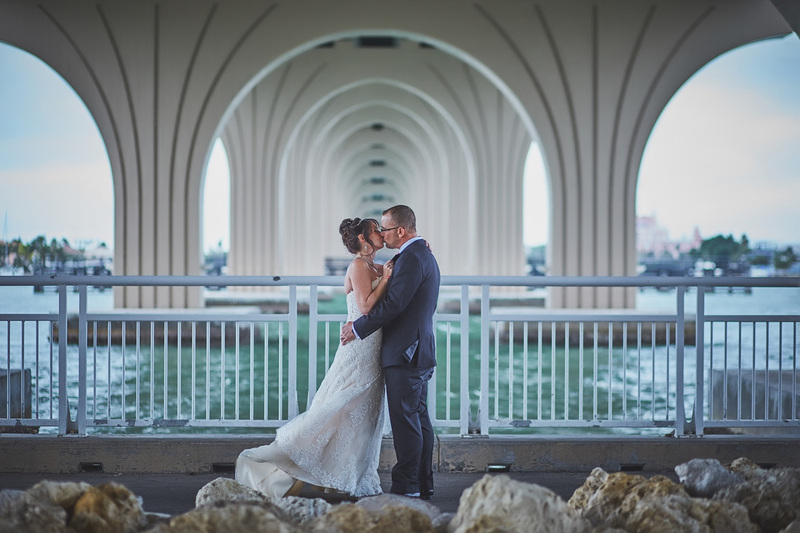 On to our list of the Best Wedding Venues in Tampa Bay. Our number one criteria is.... easy free parking. I know this might seem ridiculous, but for us, and many of your guests, having easy free parking makes the day run so much smoother and stress free. We bring a lot of gear so that we are prepared for anything! Carrying all that stuff to every location you might be at during your wedding day makes easy and free parking a big thing on our list. If we have to park via valet, not only do we have to pay but we have no idea where our car is. This makes things complicated for us as well as a potential pain for the valet. We want to work WITH your other vendors, not against them. If parking is the paid lot three blocks down, then it is a similar issue. Will our backup equipment be safe? How much extra time will be needed to make sure we will be at your event on time? We don't need extra worries added to our day. We want our focus to be one hundred percent on how we can best serve you! Number two is friendly and cooperative staff. It takes a village, it really does, to make a wedding run smoothly. We at Brian C Idocks Photographics know this to be a fact written in stone with our thirty plus years in the business. So, when we meet the staff at a new venue and they are all smiles and treat us like humans, we literally get giddy. This simple gesture insures us that we can communicate and work with those who are crucial to making or braking your day. Wedding photography hint: happy people make for great photography! There is so much more going on on our end then "taking pictures" so if we know we can work with your venue as a team then we know we can make everything run smoothly together. Number three is nice places to take pictures that are nearby. You might think this should be number one, but you are wrong. You see Brian has photographed award winning wedding photos in bathrooms and alleyways with dumpsters in the background. We are trained to show what should be shown and omit what should be omitted. Give Brian and textured wall like brick and a staircase and he is a happy boy. So those luscious and glamorous backgrounds, although nice and inspiring, aren't priority number one for us. Take out the stress and we are good. Though in something pretty with gorgeous light and we are golden. So now that you know what we are using as criteria let's get to the list! All the listed venues we have photographed and the sample photographs are ours that were shot at actual events we were hired for. I know this might be a no brainer, but you might be shocked how often that question comes up. Any recommendations we make for any vendor or venue is due to the fact that we have worked first hand with them and believe in their quality of work. The venues are not listed in order of importance as there are so many that we like equally, but for different reasons. I will point out a few things that make each venue stand apart from the pack. Casa Lantana is a quiet private 12 acre estate. The owner, Giselle, is sweet, genuine and attentive. Every choice she makes is to better serve her clients. The grounds are always clean and impeccably maintained with a variety of looks from the grand main house, the forested area to the vast yard. 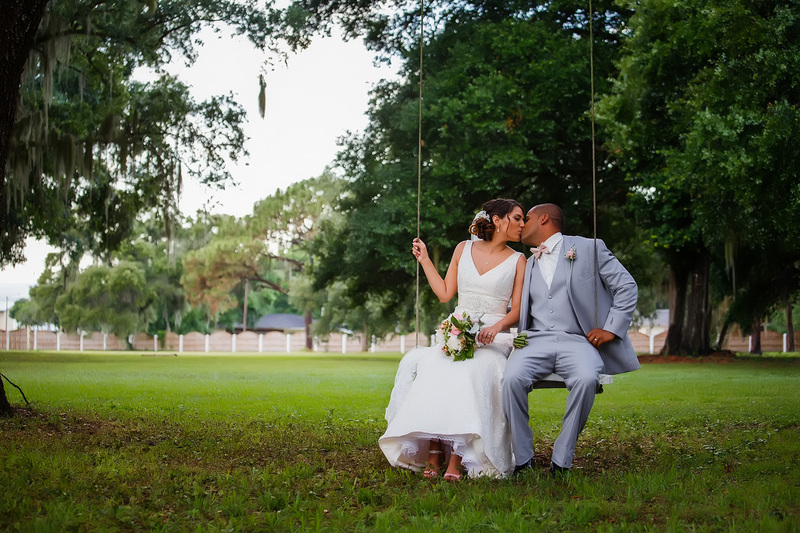 There are adorable details sprinkled throughout like a large swing, rustic barn and fountains. Parking is on property and nearby yet out of the way. This venue makes a beautiful backdrop for nearly any occasion be it country chic to upscale elegance. That's why it's one of the Best Wedding Venues in Tampa Bay. Palmetto Riverside Bed and Breakfast is another privately owned venue. The owners Wim and Mieke are helpful and attentive without being intrusive. It is obvious they care greatly not only for their venue, but for the experience their guests can have. The property itself is historic with modern updates. 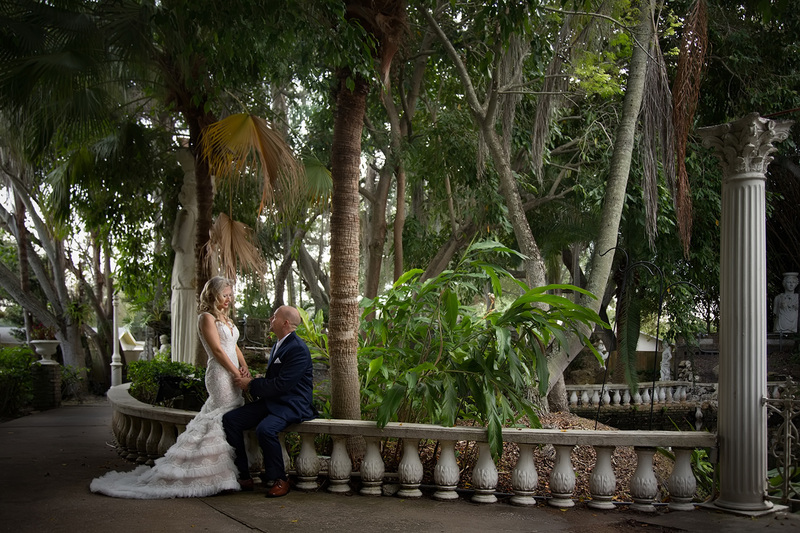 It retains it's original charm with old growth trees and unique architectural details, yet includes an expansive bricked courtyard for the perfect landscape for an outdoor reception. 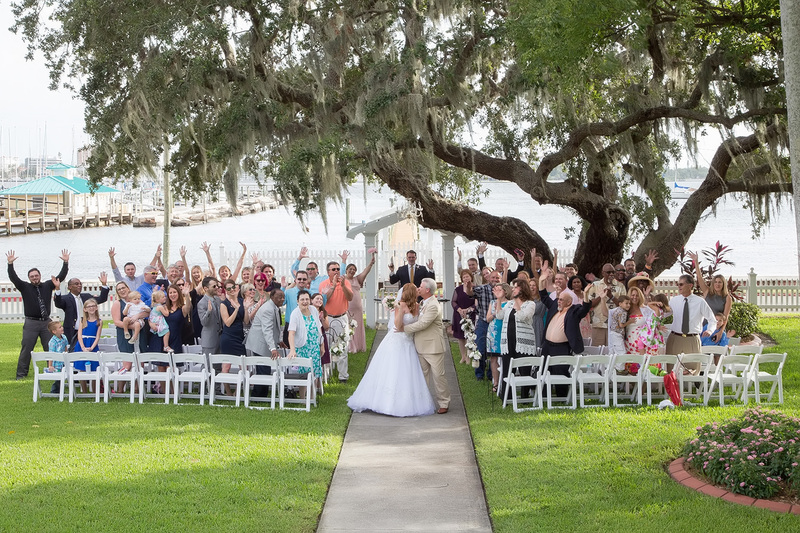 The front yard makes for a picturesque ceremony site with the river in the background. They even close the adjoining road to traffic so that the worry of cars "photobombing" is eliminated. The dock lends a Florida feel to the romantic photos and offers a different viewpoint. Parking is located right across the street making this a stress free and easy for guests and vendors alike location. That's why it's one of the Best Wedding Venues in Tampa Bay. This venue oozes with history. Recently bought and updated by Bridge Point Church, the Mirror Lake Lyceum is located in downtown St. Pete right across from, surprise, Mirror Lake. The Mediterranean Revival style building was constructed in 1926. It has so many beautiful details such as stained glass windows, hardwood floors, grand staircases and a majestic front facade that it is a total joy to work there. Parking is on property and the staff work to make things run smoothly. That's why it's one of the Best Wedding Venues in Tampa Bay. History, modern amenities, guest rooms, parking, multiple sites for ceremony and reception, yes this place has it all. The Bayview Terrace offers Romanesque pillars with a backdrop of the Bay for your outdoor ceremony, or choose the Tranquility Garden for a more private occasion with shade from the old growth trees and a picturesque fountain. Want a tent? No problem. They have one that can be made ice cold with it's own air conditioning system. 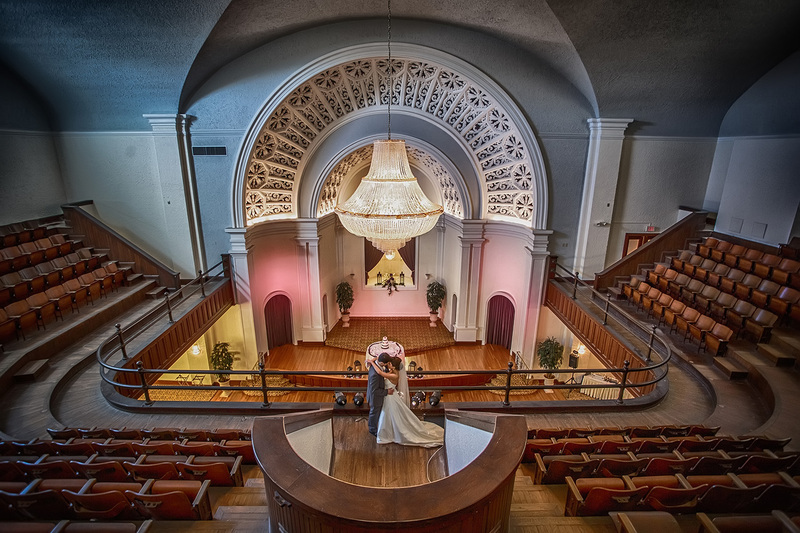 Inside there is one beautifully decorated area after another, the Four Springs Ballroom with it's columns, mirrors and muraled 18 foot ceiling, the Baranoff Ballroom with it's tiered floor plan and stage or the Athena Ballroom with views of the Bay. That's why it's one of the Best Wedding Venues in Tampa Bay. Looking for something a little more modern with that Florida yacht club vibe? Isla Del Sol has got it all. Their staff is excellent with knowledge, experience and heart. Melissa will personally make sure that your every need is not only met but surpassed. Their spacious ballroom is beautiful and has great views of the water. It can be conveniently converted to be two separate rooms for an indoor ceremony site as well as reception site or you can have a beach side ceremony with their adorable gazebo. A quick golf cart ride offers views of the surrounding greens as well as the Pinellas Bayway Bridge. Parking is on sight and convenient. That's why it's one of the Best Wedding Venues in Tampa Bay. This is another got it all venue. The Duval Ballroom is a separate building from the Holiday Inn so you can have the best of both worlds. A full hotel right at your and your guests' fingertips, yet the privacy of your own venue. Nancy and her staff work hard to make sure your day goes as smoothly as possible. The poolside ceremony site gives you the beach feel without sand in your toes and speedoed on lookers showing up in your wedding photos. You still want sand and water? No problem. They have a tiny private beach that we take advantage of for those quiet romantic moments. The ballroom itself not only has the great room that looks fabulous with drapery (hint, hint) but a lovely balcony with views of the ocean. That's why it's one of the Best Wedding Venues in Tampa Bay. Looking for unique? The Kapok might be what you are looking for. This hidden in plain sight gem comes complete with elaborate gardens with massive Italian fountains and statuary. There is the Grand Ballroom with it's wall of windows, grand staircase and enormous chandelier. The Florida Room Chapel offers soft white drapery and domed lighting. The Regency Lounge is great for cocktail hour as well as one of Brian's favorite places for groom's pre-ceremony images. There is some unique detail every corner you turn, so don't blink! This grand space can transport you from Florida to Rome and on to Versailles from parking lot to garden to ballroom. That's why it's one of the Best Wedding Venues in Tampa Bay. As you can see, there is nearly something for every taste in the Greater Tampa Bay area. The list is too long to go into detail for everyone of our favorites. I thought I could do it, I really did, but there is so much I wish to say and I feel like I have already said too much! To speed things up here are some more that really need to be mentioned!